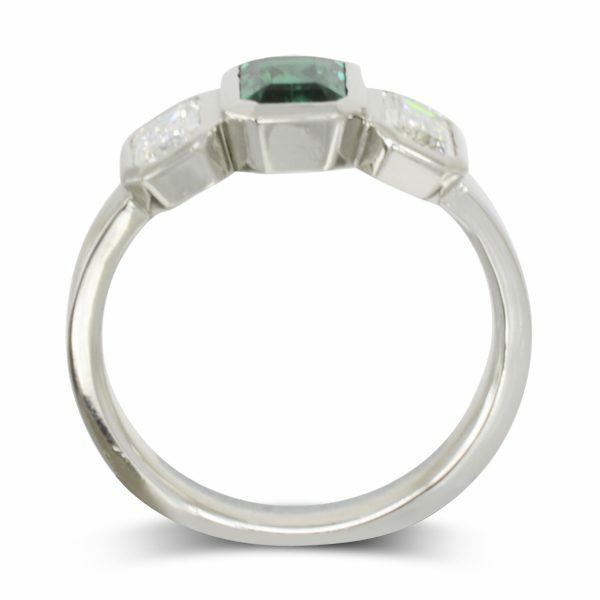 A Bespoke Emerald Diamond Trilogy Ring. Handmade in platinum. 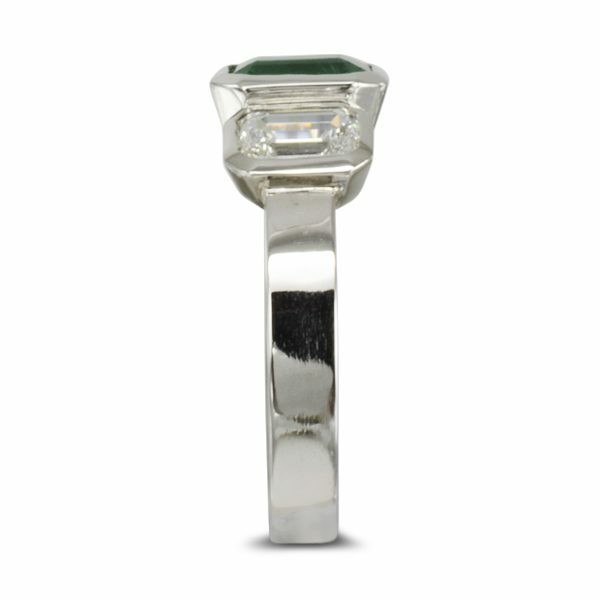 The central emerald measures 7x5mm with 6x4mm emerald cut FVS2 diamonds in rubover settings. 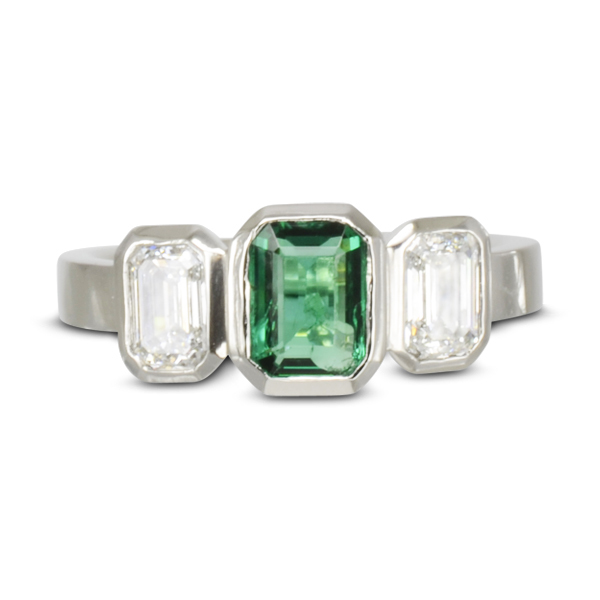 Most emeralds are cut in the shape featured in this ring, commonly known as an “Emerald Cut”. Although now a fashionable cut for many precious stones, the Emerald Cut was originally developed to optimise the striking green colour of the emeralds, rather than their brilliance. 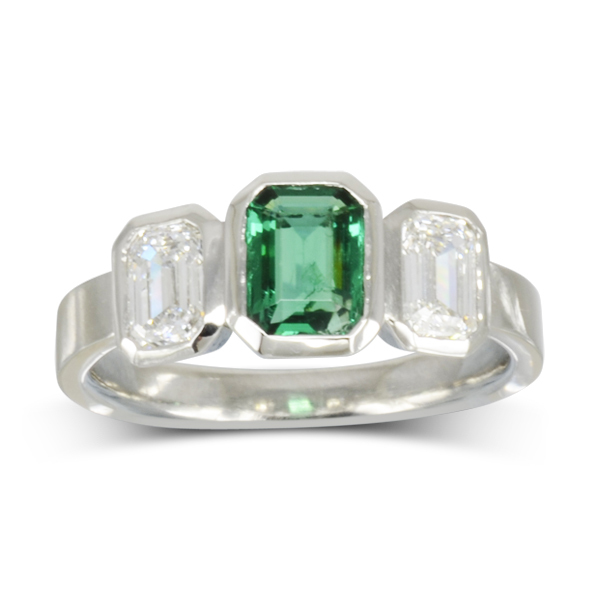 The diamonds either side of the emerald are also cut with an “Emerald Cut”. Less common than diamonds, Emeralds are mainly found in Colombia, Brazil, and Zambia. They are the most famous variety of the mineral, Beryl. Although Beryl itself is naturally colourless, different impurities alter it to produce a variety of coloured gemstones, from pinkish morganite to the vibrant green of emeralds.